The beauty profession dates back to the early Greek, Roman and Egyptian cultures making it one of the world’s oldest professions. Many monarchs and prominent individuals throughout time have employed the artistic services of a hairdresser or barber, as a result the beauty profession has long been held in high esteem. Over time the tools and skills of the profession were passed along through an apprenticeship program. It wasn’t until the 20th century that modern beauty schools were established with unified standards and procedures making it possible for more people to enter the beauty profession. Just like their ancient counterparts, modern hairstylist’s as they are called today, must keep up with new techniques for cutting, coloring, waving, relaxing and styling hair as well as fashion trends making Cosmetology an exciting and financially rewarding career choice. 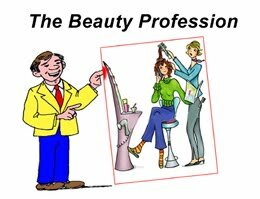 If you’re looking for an exciting career alternative or in high school and don't see college in your future, but don't want to work in a meaningless job your whole life, then a career in beauty might be just what you’re looking for! It’s creative, fun, financially rewarding and offers unlimited opportunity in all area’s of personal enhancement. And the best part, you’ll get paid for making people feel good and look their best. How cool is that? If this sounds like something you’d wish to pursue let’s take it one step at a time, starting by enrolling in beauty school. Be forewarned beauty school is not a cakewalk and something to be taken lightly! The beauty profession calls for dedicated, motivated and ambitious individuals. Beauty school is not just about hair styling and makeup, either. You’ll study anatomy and body systems, chemistry basics, hygiene, professional image, business practices, and more! You’ll be expected to read your cosmetology textbook, study the things you learn in class, get hands-on practice and experience in a student salon atmosphere, and take written exams, lots of them. Cosmetology is a professional career where life long learning through continuing education and practice is essential. If you’re shopping around for beauty school you’ll no doubt be confronted with a wide range of schools and tuition's. I’m often asked what school I would enroll in today. 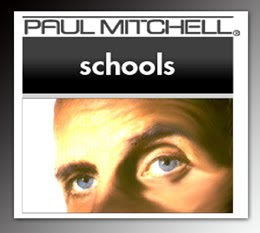 Although there are many excellent beauty colleges to choose from my first choice would be a Paul Mitchell Beauty School. With state of the art schools throughout the United States and highly skilled instructors each with the Paul Mitchell passion for beauty and the highest professional standards along with cutting edge hair care and styling techniques you can be assured of a successful career in beauty. And with over 2000 PM salon affiliates they can help you find a salon to practice in after graduation. As well as access to advanced classes throughout your career. As a salon owner finding a highly skilled hair stylist fresh out of school has always been challenging and required months of training to bring them up to speed. Hiring a new stylist with a PM School diploma tells me they are ready from day one to step behind the chair. And if time is money a Paul Mitchell hair styling diploma says.. Ca Ching ! 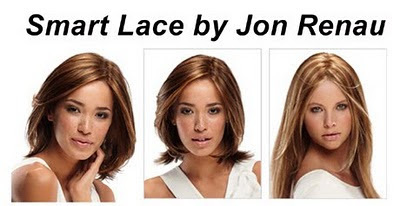 Throughout history wigs have played a significant role in fashion. Depending on the era, wigs frequently were worn to demonstrate wealth or were associated with particular professions. During the Egyptian and Roman Empires wealthy women wore elaborate hairpieces made with wool, horse hair, vegetable fibers or human hair cut from the heads of slaves. In contrast, people in the Far East, including China and Japan, rarely wore wigs except by actors performing in the traditional theaters (Noh or Kabuki) or by female entertainers such as the Japanese Geisha or the Korean Kisaeng. Today many actresses and entertainers have based their stage image on the use of wigs; just look at Cher, Dolly Parton, teen star Miley Cyrus, Beyonce’, pop-star Lady Gaga and most notably Raquel Welch, the actress best known for her line of trendy high fashion line of wigs. Wigs have always been expensive and out of reach of the average person until the 20th century with the development of "synthetic fibers" making owning a wig affordable for everyone. Synthetic wigs look and feel like natural human hair and are easier to maintain and far less expensive then human hair types. One draw backs of synthetic hair wigs is that they could not be exposed to heat styling tools until recently with the introduction of the “Tru2Life Heat-Friendly Synthetic Hair”. This innovative fiber technology now offers the same styling options as natural human hair, making it possible to use a flat iron, curling iron or blow dryer without damaging the synthetic fibers. This revolutionary heat-friendly synthetic fiber is now available in a verity of trendy styles called “Always” by Raquel Welch.